In 2013 RECAPEX was retained by Phoniro, a Swedish market leader in the keyless lock B2B municipal market, to identify and kick-start new growth opportunities. The company has a strong history of delivering IT solutions to the healthcare sector, in particular creating a better quality of life in and around care homes. Starting in 2002, using innovative bluetooth technology and mobile phones, Phoniro introduced a lock that you can open without keys. Today some 80,000 locks have been installed, dramatically improving the process of handling keys for healthcare and eldely home care providers – and at the same improving security and well-being for the caretakers and their families. Since the launch of the technology, Phoniro has continued to develop communication services using the data generated from the technology, to greatly improve local municipalities procedures. 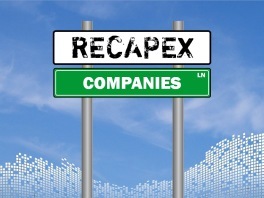 Sensing an opportunity to continue to expand the company’s footprint and utilize existing technology, an ambitious team led by CEO Johan Hörberg, decided to engage RECAPEX, to get an outsider's view of the various options for growth ahead. The approach taken was to first look at the big picture in particular digital trends and to match this with a business focused Due Diligence of Phoniro. This resulted in a range of alternative strategies highlighting five strong potential initiatives. Finally together with the Management and the Board the company evaluated several projects and potential spin-off companies. C) Finalise the business plan and initiate discussions with capital partners to co-fund the launch of the newly created brand Glue Home. By the end of 2013, a beta product of Glue was launched with several customers in both Scandinavia and the US. In 2014 the company received funding from Alfven and Didrikson and later in the year Carl-Johan Grandinsson invested and became CEO. In 2016, following successful market entry into the Swedish market, Peter Carlsson (ex-Tesla) and Moor Capital invested into Glue’s continued expansion.